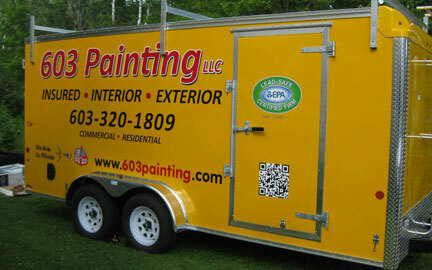 We currently have positions available for both interior and exterior painting. We are looking for hardworking, prompt, reliable laborers who enjoy and take pride the work they produce. To be considered, you must have valid driver’s license and be in good standing with the state of New Hampshire. 603 Painting is willing to train the right candidates.